Mayor Cleland Hoff spoke on stage after we read the Town of Mammoth Lake's Proclamation of Sept 9th as EV Day Mammoth Lakes. The Mayor spoke very positively about the Town's plan to support EV promotion. She stayed about 3 hours, enjoying a test ride in a Tesla Roadster as well as rides in a couple of our Evs. Guests enjoyed snacks and read materials on incentives and charging in our Education Tent--a 20 X 30 tent with 10 tables with 4 chairs around each. On our main stage in the tent, we held a free raffle, giving away hundreds of dollars of gift certs from local restaurants and retail shops as well as free ticket to next year's Gran Fondo cycling race. Each winner was called up to the microphone to introduce themselves, if they owned an EV, and what triggered their interest in Electric Vehicles. A highly unique aspect of our event was its location in this remote Mountain community, literally hundreds of miles from the nearest EV CAR dealer. Due to the generosity of local residents offered lodging to out of town EV owners, we were able to showcase 9 EVs, with rides in 5 EVs. Our EV owner/educators drove 400 miles from San Diego and Sacramento! Their cars were steadily busy--making 4 - 5 trips per hour on a 6 minute, 4 mile route. The guests were highly appreciative of our 20 dedicated, knowledgeable volunteers. Later, guests were overheard bubbling over about their "Experience Electric" event in a local restaurant. While the total number of guests was not a huge number, the quality of conversations was high. The guests who came were highly focused on getting their rides in an EV--often riding in 2 or 3. We also collected signatures on a petition to demand non-Tesla charging in Mammoth Lakes. We received over 300 signatures in under a week. We are still collecting . . .on line at www.change.org. 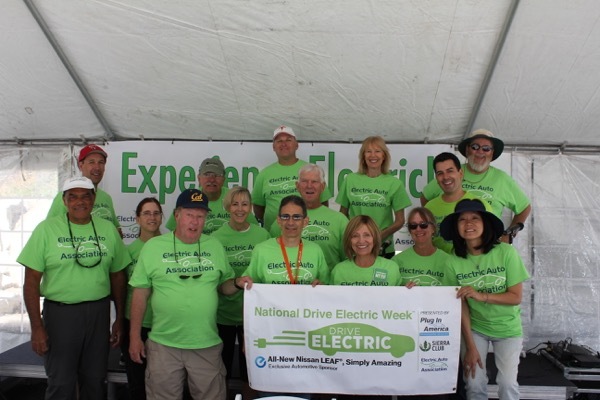 EV Owner/Educators traveled from San Diego and Sacramento to volunteer. and have more fun driving. Free drawings for prizes on the hour for registered attendees! Gift Certificates to your favorite restaurants and shops. Guaranteed--you can ride in this car! Lightly used Outlanders available too. 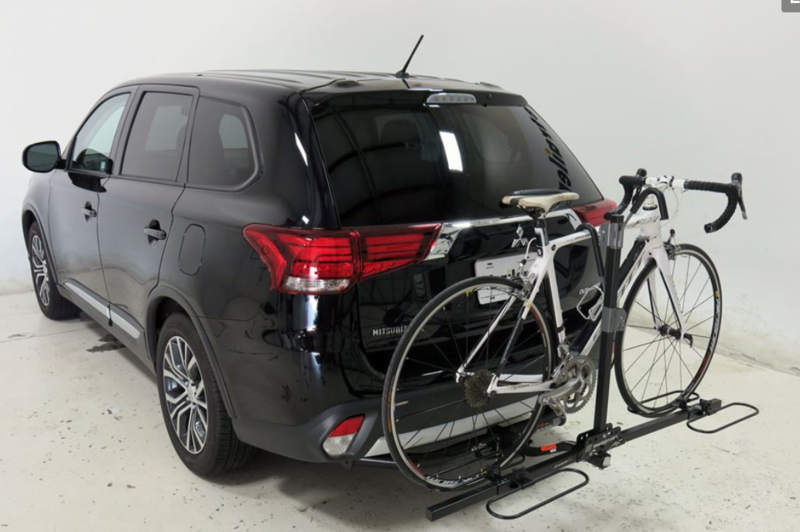 Save money on the operating and lifetime cost of a car. Learn how to charge your car at home and on the go. Get your "Ticket to Ride" in an EV....or try out several. Save Time at Check-In--Register now! Take the trolley for a free gift. * Includes CVRP rebate of $1500, this cash incentive is income qualifying and may not apply to all. This event made possible by a grant from Southern California Edison. Our sincere thanks for having the vision that rural communities need an extra "charge"! Registered attendees report 337,553 electric miles driven.